It is very instructive for us to consider what might have been the result in China, especially in view of the recent upheaval, if the missionaries of the west had literally obeyed this command of the Founder of their religion, and had departed from the city of the Celestial Empire, shaking off the dust from their shoes as a testimony. We cannot doubt that, had this been done in 1860, when the allied armies, accomplishing their purpose, withdrew from Pekin, there would have been a saving of many devoted lives, and a great gain to the cause of peace and goodwill among men. Be it understood that we do not wish to accuse the missionaries of wantonly stirring up strife and discord, nor even of a “zeal for religion, without wisdom;” we fully understand the motives which led to their militant campaign in China, and recognize their action as the natural outcome of these motives. The zeal for missionary enterprise seems to us to have this origin: A religious and spiritual awakening comes to a man or woman, when the immense power and nearness of the unseen forces of life, the substantial yet immaterial powers of the soul, are for the first time recognized, and an inner illumination, a glow of light and warmth, enkindles the whole heart and mind. The presence and power of these spiritual forces is the best approved fact in history and human life, though many varying explanations, many mythologies, even, have grown up about them. Yet no truth has better or more unanimous testimony than the second birth, the awakening of the soul. The first glow of illumination gradually fades, perhaps from the waning of religious emotion, perhaps from the re-assertion of habitual life; and the awakened individual casts about for some means to restore the first radiance. No price is too great; no task too difficult; indeed, the very difficulty of the task is its charm, as promising the greater reward; and, with the beliefs and traditions of the West, it is almost inevitable that the task should take the form of missionary enterprise, into which enter the excitements of foreign travel, and the splendid images of possible martyrdom. We must add another causal element: the perfectly false and mythological notion of the East, and especially of the moral and religious condition of the East, which still fills the popular understanding. Just as it is certain that the tremendous intellectual and moral revolution which springs from Darwinism has as yet hardly scratched the surface of the popular mind, which still holds to the idea of special creation, if it holds any idea at all as to biological beginnings; so it is wholly certain that the general public, and especially that part of it which furnishes the sinews of war to the militant missionary, has no inkling of the tremendous change which has come over our knowledge of the East, during the past half-century, and especially over our knowledge of the East’s religious and moral life. Just as the episode of Joseph and his brethren, of Potiphar’s wife and Pharaoh’s dreams, supplies the substance of popular Egyptology while the book of Esther and the captivities furnish most of popular Assyriology, so surely do the general notions of China and India as fields of missionary-work, flow direct from the traditions of Prester John and Alph the sacred river, of Xanadu and the phoenix and the unicorn, of the gold-digging griffons and the anthropophagi and men whose heads do grow beneath their shoulders; the gorgeous tapestry of romance woven by medieval myth-makers like Sir John Mandeville, himself a myth. We may say it without fear of contradiction, that the average supporter of missionary enterprise might find an abundant source of real knowledge in the Tales of Sindbad the Sailor, which spring from the golden age of Arabian exploration; while the Book of Ser Marco Polo the Venetian would be simply a revelation to them, and in the main a revelation entirely trustworthy, for details of Asian men and places. This is the imaginary East which looms large before the minds of enthusiasts who, full of their new and very real spiritual awakening, and burning to perpetuate their first warm glow of emotion, determine to give up all, and devote their lives to spreading the light among the heathen. If we are right in our feeling of their motive, it is open to this criticism, and a very grave criticism it is: that they are moved by a really selfish impulse; that their eyes are fixed on their own condition, and their desire to perpetuate it, and that they are not moved at all by any real knowledge of the moral condition of the “heathen,” or any real sympathy for what are the “heathen’s” true problems and sorrows in this vale of tears. They determine to “do good” to the “heathen” without any knowledge of what the “heathen” really needs, or any certainty that they can supply that need. It is anxiety for their own salvation, and not for his, which we find in the last analysis to be the true motive cause. Be it remembered that we concede, and are firmly convinced of, the truth in the religion which the missionaries burn to spread; and further, that we recognize the reality and purely spiritual character of the inner awakening which sets their hearts in motion; nonetheless are we convinced that, in following the missionary impulse, and in the method in which they try to realize it, the proselytizers are moved by a subtle form of selfishness, and more, that in doing what they do, they are quite false to the central thought of the religion of Jesus. Amongst the endless controversies of sects, and the endless interpretations and confusions of creeds, the One Commandment stands forth as the unshaken rock of the Galilean evangel; and without a quite thorough understanding of our neighbor—our Chinese neighbor, for a concrete case—and a thorough sympathy with his heart’s aspirations and the sources of his moral and spiritual life, it is nonsense to talk of our fulfilling the One Commandment towards him, of “loving him as ourselves.” This Commandment carries as its necessary condition precedent the duty of understanding, of sympathy, of putting ourselves intellectually and imaginatively in his place; and will the missionaries as a body pretend for a moment that each of them did this, before deciding to carry their message to the Chinese? If so, what a woeful failure they must have made of it, judging by the feelings they seem to have aroused in Chinese breasts. It is impossible to enter imaginatively into the life of another, until we have in a large degree risen above our own personal bonds; it is impossible for us to enter into the intellectual life and the moral ideals of another, until we have overcome the hindrances of our own ignorance and prejudice. Supposing that a would-be missionary, one touched with the new life of the soul, and burning to live in that life, were to have his attention turned to the Chinese, and, after mastering their languages and the enormously varied condition of their lives throughout the eighteen provinces, were to go further into the source of this life, the miraculous book of China’s past, and reading there, were to come to a true understanding of the springs of Chinese religion, supposing that such a one, with real sympathy and understanding, were to discern that he could render to the Chinese some substantial moral and spiritual service, which they on their part would be willing and ready to receive, we should hold that such a one had really fulfilled the spirit of the One Commandment, in regard to his Chinese neighbor; but convinced of this, we are perfectly certain that whoever had the moral and intellectual power to do this, and it is a duty which concerns no one who has not the power to fulfill it, would see, long before his researches were completed, that there were a thousand tasks for him at home, a thousand far more crying needs, a thousand far more poignant evils waiting at his very door to be righted, and that he would willingly set his hand to these. Further that his studies would in no sense have been lost or wasted, for he would have broadened his heart and mind, especially in the vital direction of imagining himself into the lives of others, and that the power thus gained would serve him on every hand in his tasks at home. Lastly, he would have laid a far more certain foundation for his spiritual life, and for the continuation of that high enthusiasm which moved him at the outset, than can ever come from a rash and ill-considered invasion of foreign lands, and a harsh and ignorant condemnation of foreign ways and ideals. We are, therefore, entirely convinced that a literal fulfillment of the Master’ s command, quoted by us at the outset, and taken as applying to China, would have been vastly more beneficial than the continuance of Christian missions, and more, we are persuaded that this would have been vastly better Christianity, a course of action far more in harmony with the ideals of the Founder of Christianity, and the One Commandment which he himself set as the head and heart of his teaching. Suppose that the case we have imaginatively conjured up, had been actually realized: suppose that a young enthusiast, touched with the awakening light of the soul, had determined to understand, before acting; and that, having been drawn for some reason towards the Chinese, he had determined to read, mark, learn and inwardly digest the material of their spiritual life before deciding to teach them, what would he have found? He would have found that the true spiritual life of the Chinese was founded on a religion very like his own; or, to be more accurate, he would find in China a series of Scriptures closely analogous to the Old and New Testaments; for we must all recognize growth, and aftergrowth of the Bible, and for which, in the Bible, we should find very doubtful warrantry. Let us say there are three hundred Christian sects,—in reality, there are far more,—we shall find that each one of these affirms that there is insufficient Scripture warrant for the form of all the others, and we shall thus have an overwhelming majority against any one. Let us add, further, that the Sacred Scriptures are by no means precisely the same thing as the popular understanding of the Sacred Scriptures. But if our enthusiastic student were to turn to the religious life of China with a duly critical and enlightened sense of the mutual relations of his own Sacred Books, he would find that, rightly viewed, those of China are not greatly different in scope, while in the spiritual essence of their message, they are not different at all. He would find, first, among the Five Classics, as they are called, a very close analogy to the Old Testament Books; he would find, in the Books of Chinese Buddhism, a story of a divine mission, five centuries older than the story of the Gospels, yet very like it; an angelic Annunciation, an Incarnation, following on an Immaculate Conception; a miraculous childhood, a Temptation in the Wilderness, a Summoning of the Disciples; Parables in the Garden, and, finally, a living for humanity, instead of a death for humanity, a not less real and even more difficult sacrifice. 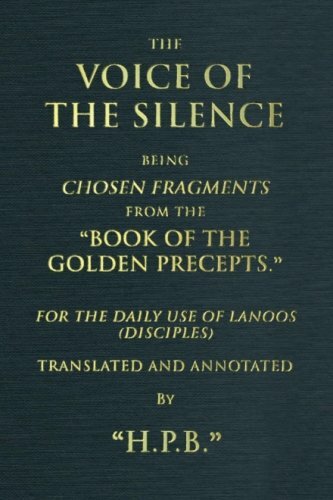 If, again, our student were to study the wonderful sentences of Lao-Tsze, he would find a counterpart of the thought of Paul, that metaphysician and mystic among the Apostles; and in the Way of the Tao he would learn to see that very Way which, for the author of the Acts, was the synonym of the new Evangel. We are often, even habitually told, that the Chinese have no religion. I can imagine a disinterested observer not of our own protestations, but of our acts, of our habitual lives, saying the very same thing of us. Therefore we must give the other side due weight, when we come to study China. If we do this, we shall find, first, that so far from having no religion, China is saturated with religion, and that this religion, going back to the very dawn of her national life, is in essence identical with our own. We are told, even by those who admit the moral and social system of the Chinese to possess a certain excellence, that China has a religion, indeed, but a religion of this world only, rather a Socialism than a Faith; something not incompatible with practical and speculative atheism, and with entire materialism and disbelief in man’s soul and immortality. And it is a curious illustration of our human frailty that the very people who tell us this, will in the next breath accuse the Chinese of idolatry, because they pay reverence to the spirits of their dead! There is nothing like the fine logic of fact in dealing with generalities of criticism and condemnation; and there is nothing like appealing to the great Originals, when you wish to be certain of your facts. Therefore, in order to see how this matter of China’s religion really stands, let us turn to her Sacred Scriptures, and first of all to the most national part of them, the Five Classics which are the heart of the great system of Confucius. Confucius, living some two thousand five hundred years ago, and therefore almost exactly contemporary with two other great teachers, the Buddha of Kapilavastu and Pythagoras of Samos, did not in truth found the system which bears his name, nor did he claim to do so. He is closely to be compared with his contemporary in the religious history of Palestine: Ezra, the Restorer of the Law. Confucius constantly referred to “the Illustrious Ancients” for his doctrine, and, if we would come at the heart of it, we had better do the same. The Shu King, chief of the Five Classics, is a Book of History. It closely corresponds to the narrative part of the Pentateuch, and goes back in fact to a period four thousand three hundred years ago, just the time to which the patriarch Abraham is assigned by Jewish tradition. The Li Chi, another of the Five Classics, is a Record of Rites, and fairly comparable to Leviticus and Deuteronomy. The Shih King may be likened to the Poetical Books of the Bible. And to the later Historical Books we may compare the Annals of the Chun Chiu, which come from the hand of Confucius himself. The Yi King the “Book of Changes,” and the Hsiao King, the “Book of Filial Piety,” may be ranged against the remaining Prophetical Books, with their double elements, part mysterious like the visions of Daniel and Ezekiel, and part hortatory, like the teachings of Isaiah or Jeremiah. We shall not, of course, find the same poignant and piercing emotion in the Chinese books, but neither shall we find the passionate elements which free-thinkers have so often condemned in the Old Testament. “Pride brings loss, and humility receives increase; this is the way to Heaven. Be kind to the distant, give honor to the virtuous, and your confidence to the good. Morning and night be reverent, be upright, be pure. Teach our sons, so that the straight-forward shall yet be mild; the gentle, dignified; the strong, not tyrannical; and the impetuous not arrogant. “Admonish yourself to caution, when there seems no cause for anxiety. Do not fail to observe the laws and ordinances. Do not find your enjoyment in idleness. Do not go to excess in pleasure. In your employment of men of worth, let none come between you and them. Do not carry out plans of the wisdom of which you have doubts. Study that all your purposes may be with the light of reason. Do not go against what is right, to get the praise of the people. Let us remember that the ancestors of the Germanic and Anglo-Saxon nations were destined, in the wisdom of that same Heaven, to paint their savage bodies with blue woad, and to use stone or bronze hatchets, for well nigh two thousand years after these wise words were written in China, not by mere theorists and pedants, but written by kings for kings, on whose fidelity to them depended their tenure of the throne. These quotations, all taken from that one great Scripture, the Shu King. the most venerable among the Sacred Books of China, are amply sufficient to show what the spirit of the Chinese religion really is. I have avoided quoting from the poetical books gathered in the Shih King. from the treatise of Filial Piety of Confucius, or from the more spiritual and mystic doctrine of Lao-Tsze, because, after all the Shu King is preeminently the foundation-stone of the whole edifice. It is universally accepted and admitted; it is the heart of that Confucianism which is the heart of China. And these quotations have amply shown a perfect faith in God, a clear recognition of our duty to Him, and the voice of conscience, a certain apprehension of God as the intelligent and immediate ruler of this our life, rewarding the righteous and punishing the guilty, an unquestioning certainty of the soul’s immortality, and lastly, a profound recognition of our duty towards our neighbor, as in that striking phrase: “the awfulness (sanctity) of the people.” There is, too, a very democratic sense that the Voice of the People is the Voice of God, as when it is declared that God hears with the ears of the people, and this sense of popular rights, going back to the dim gray dawn of China’s past, has ever been the foundation and touchstone of her government. Dynasty has followed dynasty for nearly five thousand years; whenever a dynasty fell, it was clearly recognized that this was the judgment of Heaven, avenging the wrongs of the people, and the neglect of the ancient Law of Righteousness. “Let me be reverent! Let me be reverent! The way of Heaven is clear. And its appointment is not easily preserved. Let me not say that it is high aloft above me. It ascends and descends about our doings, it daily inspects us wherever we are. 1. Since writing this, I find that Lord Curzon, the Viceroy of India, has used this text with precisely the same application to missionary “zeal without wisdom” in China.